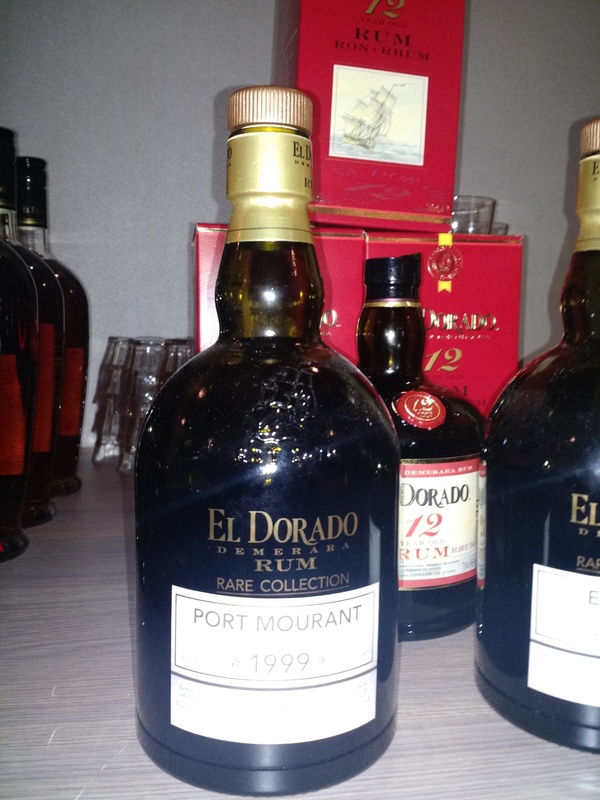 Have you found an online vendor selling El Dorado Port Mourant 1999? The first thing that comes to my mind when nosing this rum, is an old wooden shipdeck and big ropes. I pick up pretty heavy notes of wood and tar, but also a lot of spices like aniseed, black pepper, cloves and nutmeg. More discretely, notes of orange marmelade and caramel also peeks out. As it lands on my tounge, the wooden notes explode, but not in a particular dry way. The taste quickly transition into the spicy aniseed, and tar notes followed by a buttery, oily and nutty caramel, which work damn well, countering the initial spicy explosion. Cut the big pricetag in half and this would be a 10. I'm a fan of authentic British Royal Navy rum, and man, this really exhibits the Demerara contribution to that classic flavor. Port Mourant is also the obvious source of that deep dark burnt molasses aspect to many of the El Dorado blends. For me, a lot of alcohol on the nose, but also the burnt caramel. Spicy hot on the tongue. Some fruit in the mids. Smouldering dark finish with anise. 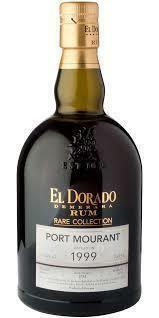 I like all the standard rum from El Dorado (12, 15 & 21) and of course the 25yo old one which is fantastic. Tested it during Birka’s rumcruise 2018 and didn’t like it at all. It’s not pricewhorty in my opinion. Purchased a sample of this potent sipper from Master of Malt. This 1999 Port Mourant had a powerful oaky nose. Sweet and incredibly oaky it almost takes your breath away good there's rich fruit dates and raisin on the finish. Last 2 drinks for tonight were back-to-back testing of 1999 Port Mourant versus El Dorado 1993 Enmore. Both have a very nice bottle and label designs. Both are very expensive, so the bar is high. Port Mourant is closer to deep brown whereas Enmore is almost amber. Port Mourant has a combination of tar and rubber to the nose. Pepper is the first one to hit the palate followed with the burn from 61.4% alcohol. Interesting to try out, but I will stick into sweeter aged dark rums going onwards. Amber color is good, and is very aggressive from start to finish. Very much burned caramel and not smooth at all. Very hot and spicy. Good balance, a little sweet and very tasteful and smooth. EDIT: druha degustacia nepriniesla extra zmeny, ale snazim sa najst nieco pozitivne na tomto rumu. nastup je relativne ok, aj ten alkohol mi uz tak velmi nevadi ale to telo a dozvuk, ako by som pil spotenu kozenu sedacku s postruhanym drevom, mozno v opacnom poradi. posunul som o malo svoje bodovanie ale viac ako 4,6/10 nedam. mozno ked mi nebudu uz dostatocne fungovat chutove bunky. tento rum nezachrani ani chutovo slusny ovocny chvost, ktory zenecha prijemnu spomienku na pre mna nie prijemne chut pred nim. Ook deze rum is top! Zeer zacht voor een abv van 61,4℅. Een iets vegetale smaak (gras?) Met verder specerijen, kruidnagel, peper en hout.